← Boating Safety 101: Don’t Let Preventable Boat Accidents Happen to You! Competitive Boat Racing Takes Over Europe! Are you ready for some competitive boat-racing? Widely known as a ‘rich man’s sport’ due to the massive expense required for maintaining the boat and the fuel, powerboat racing is more than just the elite sport many boat enthusiasts know it to be. It has also branched out to all classes of boat racers and can accommodate not just powerboats, but other types of pleasure boats as well. The following types are more than welcome to join in boat racing: four piston engine boats, turbine boats, twin piston engine catamaran style boats, and twin or single piston engine v-bottom boats. The race category you can join is determined by your engine speed as well as the type of boat. In Europe, the largest powerboat racing events are organized by UIM and Powerboat GPS. One of the most popular series is the UIM Powerboat GPS World Championship. 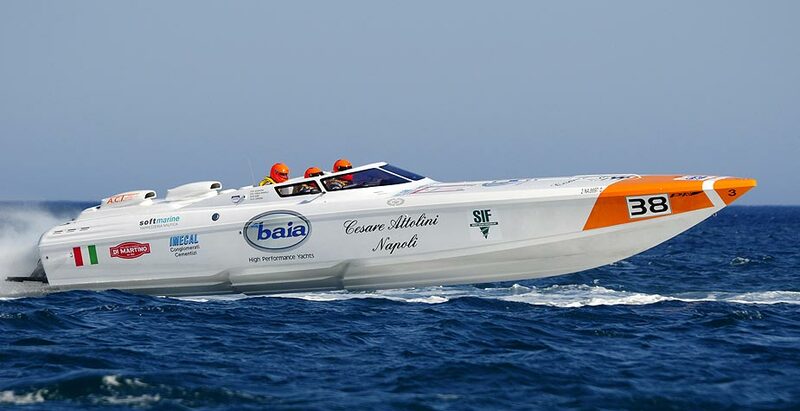 Founded in May 2003, Nettuno, Italy, it was initially called Powerboat P1 World Championship. In the first race, there were 12 boats, most of which were from Italy, with 15-year old aluminum boats. Since then, the quality of racing boats have greatly improved. Just last year in 2010, Powerboat P1 Management withdrew from organizing the event. Instead, UIM took over and renamed it to the Powerboat GPS, the Grand Prix of the Sea. There are two types of classes in the competition: the Evolution class and the Supersport class. After an exciting series, the eventual winner of the Supersport class is team Baia Attolini, while the winner in the Evolution Class was the team Metamarine Foresti Suardi. Check out the standings of the recent championships. There’s plenty of time to prepare, so why don’t you try your chances? Make sure your boat at its optimal performance levels, find out about corporate sponsors, upgrade your engine, and make sure your propellers are in top condition. Whether you participate as a spectator or as a racer, offshore boat-racing will surely keep you on your toes. After all, arguably no other sport compares to the fast-paced and exciting turnout of the game. We at Eris Propellers are encouraging you to try out new things with your boating hobby! This entry was posted in Boating Events and Festivals and tagged boat racing, power boats, powerboat racing. Bookmark the permalink. 1 Response to Competitive Boat Racing Takes Over Europe! Thx for mentioning the credit. Appreciate it!